Dogs Trust: Spring has sprung, so celebrate the Dogs Trust way! Spring has sprung, so celebrate the Dogs Trust way! Spring has finally sprung, so it’s time to shrug off those winter blues! This is the time of year for holiday planning, celebration, and sprucing up that spring wardrobe. We thought we’d let you in on a few quick and easy ways to help out Dogs Trust while you spring into these seasonal activities! 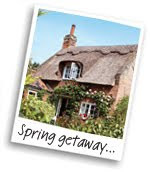 Holiday planning - Thinking of escaping the Royal Wedding commotion? Already thinking of your summer getaway? Think your pets deserve a treat for being so patient through the snowy winter months? Plan a trip with Dogs Trust Cottages and choose from a superb selection of dog friendly holiday cottages throughout the UK, France and Ireland! For every holiday, we benefit from a 10% donation of the cottage element of your holiday. Celebration - I hope you didn’t forget Mother’s Day, as it’s just around the corner! What about that certain loved one’s birthday coming up? Don’t fret, because we are happy to introduce our brand new card shop! With over 3,000 greeting card designs to choose from, there is something for everyone and a percentage of each card sold comes straight to us! Shopping spree - Try this free service where you can shop with your favourite online stores at no extra cost and raise funds for Dogs Trust! 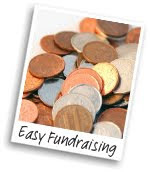 You still shop directly with each retailer as you would normally, but simply by using the links from the Easy Fundraising site first, each purchase you make will generate a cashback donation! 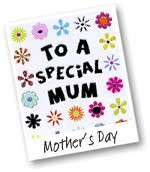 Have just got Mother's Day card and other cards really, really easily! No standing about trying to find a card through a crowd-when it's a special time like Mother's Day, or trying to find a card that's not bent,or even trying to find a random envelope that doesn't really go with your card!! Really simple,can use paypal, and has a great range of cards for every occasion, whilst helping out a worthwhile charity looking after dogs-a man's best friend don't forget! !